Mindfulness can unleash the most potent force for wellness the United States has ever known. Millions of Americans feel disenfranchised by our health system. We're starving for something that costs less and works better. Mindfulness meditation can be learned in weeks and practiced without cost by anyone anywhere. Studies show it helps people maintain physical, emotional and mental health as well as cope with an array of illnesses. We can use it daily to support our own well-being. 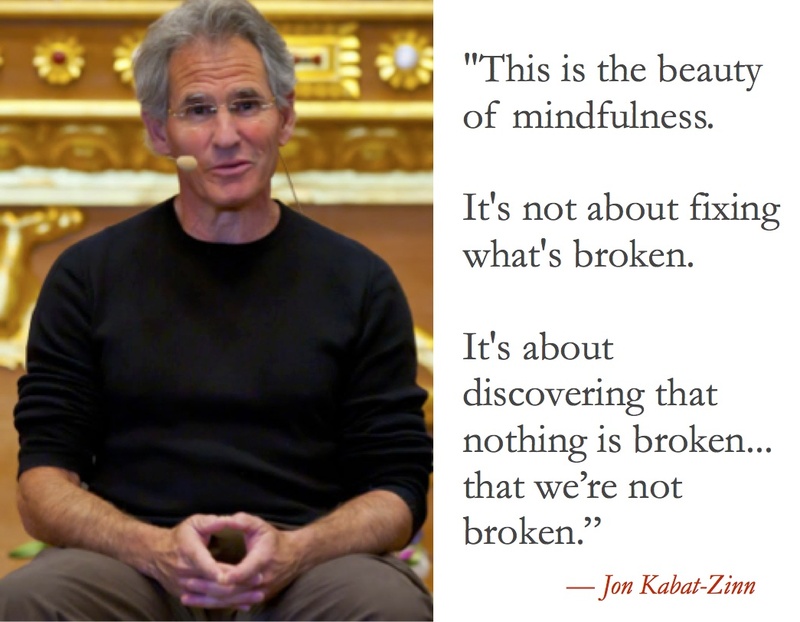 So why not mindfulness? Why not now? Here's a simple, but revolutionary truth. 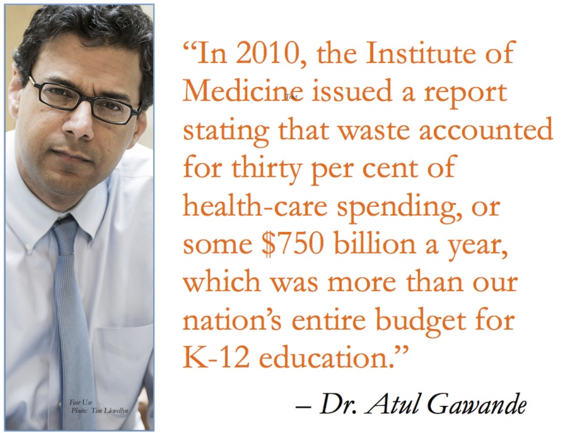 The most effective health care intervention is our free will. A 1993 study from The New England Journal of Medicine says, "preventable illness makes up approximately 70 percent of the burden of illness and the associated costs." In the ensuing 22 years, we've seen rising levels of stress and the ongoing epidemics of obesity and prescription drug abuse - all behavior-related. Yet few of us talk about our free will as the road to recovery or wellness. A lot of us hide from what we feel intuitively is out of balance within us. The medical conversations we have often center on how to intervene in reaction to a health crisis rather than how we can stay well and whole. How many of us realize there's a powerful response to health challenges that does not rely on drugs or cost us anything but our time and attention? But only 8 percent of Americans meditate, a common form of mindfulness practice, and 10 percent do yoga (which may or may not be mindful), according to the 2012 National Institute of Health Survey. 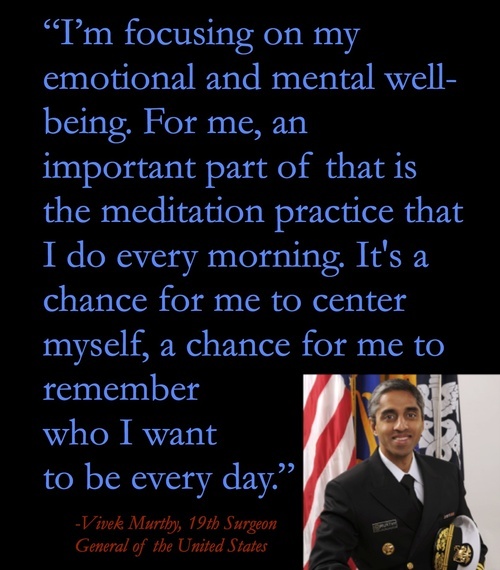 It's time we joined our Surgeon General Vivek Murthy and started leveraging health solutions at the site of greatest opportunity: the individual. Mindfulness can unlock this vast and under-utilized health resource. The Center for Mindfulness at the University of Massachusetts describes it as: "The intention to pay attention to each and every moment of our life, non-judgmentally." Let's hear from two experts. "...If we become more mindful of our everyday activities, we can learn well-being and become happier. One of the best strategies for doing so is through the regular practice of simple forms of meditation that can be taught in a completely secular way and that can train the mind to become more aware and to down-regulate negative emotions and increase the frequency of certain positive emotions. Research in our laboratory has established that it does not take that much to make a difference. In a study that was published in 2013 on compassion meditation, we found that 30 minutes a day of practice over the course of two weeks was sufficient to produce a change in behavior and in brain function. 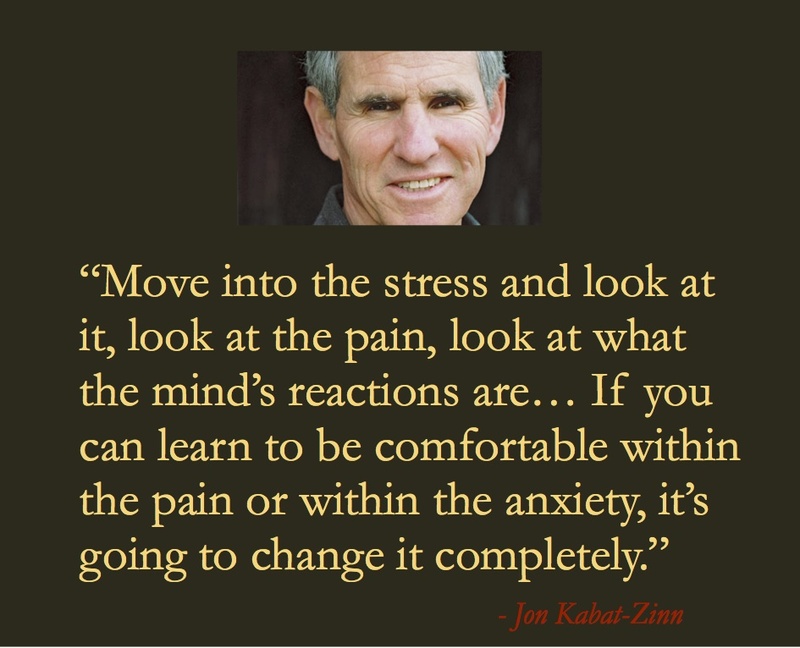 Of course, we do not believe that such a change will endure unless a person continues to practice..."
To be in relationship to what you are going through, to hold it, and, in some sense, to befriend it--that is where the healing or transformative power of the practice of mindfulness lies. When we can actually be where we are, not trying to find another state of mind, we discover deep internal resources we can make use of. Coming to terms with things as they are is my definition of healing. Appreciating this kind of awareness can have virtually immediate effects on health and well-being. " Most mindfulness practice starts with awareness of the breath. Which means no one living is excluded from its benefits. If you can breathe, you can find equanimity. If you can breathe, you can heal yourself. If you can breathe, you can change your life. What is Mindfulness Health Insurance? Free mindfulness training is included with your normal health insurance policy. (This could be done in-person or on-line or in some combination of the two modes of teaching.) You still have access to all your normal medical care. So far, early research shows promise. 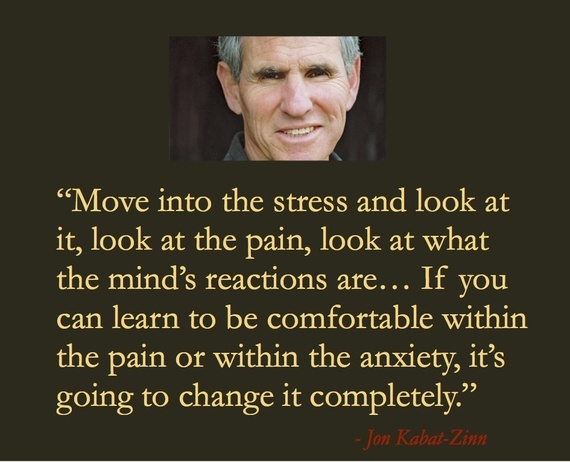 In 2014, a study, funded by Kaiser Permanente, showed chronic pain sufferers who completed an 8-week course in Mindfulness-Based Stress Reduction not only reported significant symptomatic relief, but visits to the emergency room were cut in half, visits to specialist care dropped by more than a third and hospital admissions dropped by 80 percent. Health insurers are the only major players in the mainstream American health care market who financially benefit from patient wellness and not from the number of procedures carried out on or for the patient. This is a wonderful opportunity for consciousness capitalism. The more invested in mindfulness, the healthier the people. 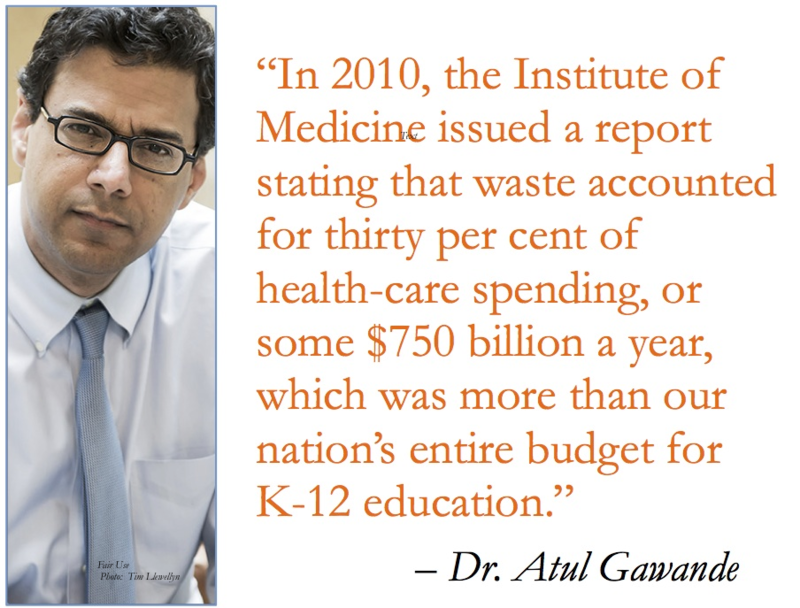 The healthier the people, the more money saved. And that means a better margin for the insurer. Who says business can't serve the common good? Unfortunately, most insurers today trudge their way through a "numbers" game while their customers fall deeper into disillusionment and distrust. This month in The New York Times the focus was on the stress caused by high deductibles. Even Aetna, a champion of mindfulness for thousands of its employees, only offers the training to a few business clients. I'm not aware of a single health insurance company that has seized the potential of mindfulness to be a game-changer in terms of client experience. 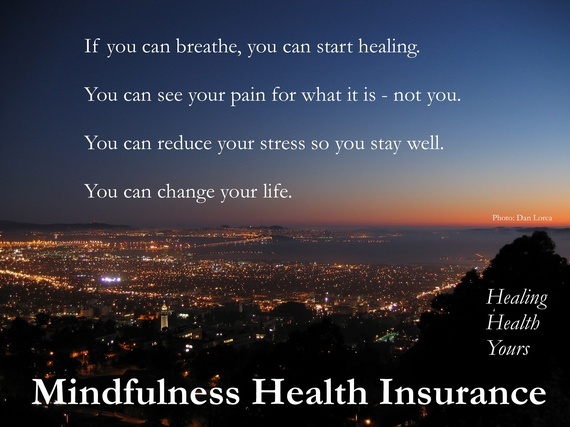 Mindfulness Health Insurance can't address all systemic issues of waste and inefficiency. But it can do a lot by improving outcomes for individuals so they need less intervention and therefore use fewer resources. The simple truth is that people who practice mindfulness use their brains differently. And if we use our brains with greater emotional intelligence, compassion and awareness, the effects will ripple across all of society. Just imagine the impact on acts of violence that send people to hospital if mindfulness were to become wide-spread. 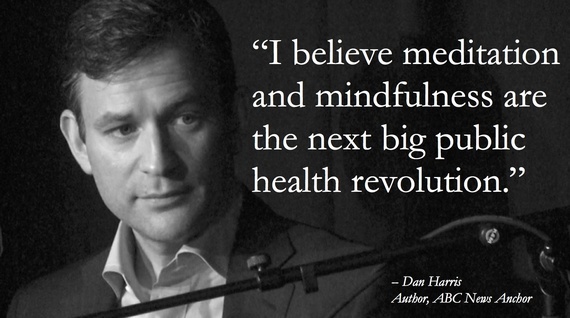 Mindfulness Health Insurance can inspire a revolution for our still young century - a revolution that encourages and empowers each of us to be the managing partner of our own health and well-being. How cool would it be to see an ad like this when cruising the web or flicking through the pages of a magazine? Imagine waking up feeling grateful to your health insurance company instead of resenting it. Grateful because the insurer provided for the training that helped you transform your life, helped you feel calmer, more energized and more aware, helped you feel whole. One day it will happen. One day we will look back and see mindfulness as an obvious tool for health - the way we see running today. Many people reading this won't remember, but a few years back - well about a half century ago - jogging was a new fad based on the crazy idea that running distance could be for anyone not just Olympic marathoners. People want change - they're disenchanted with current system that wastes money, costs a fortune and disempowers the people it serves. Mindfulness, on the other hand, makes everyone entrepreneurial about their health and well-being, using free will and self-knowledge as potent health interventions. Mindfulness allows people to participate in their health care in a significant way. Mindful practice - and its impact on health - can be a profound experience. This will flow into people's relationships, their workplaces and their communities. If this all makes sense to you, let your health insurer know about it. Call them. Or e-mail. Let them know they should get pilot programs underway as soon as possible to offer Mindfulness Health Insurance. And if you don't mind, vote here. Thanks.